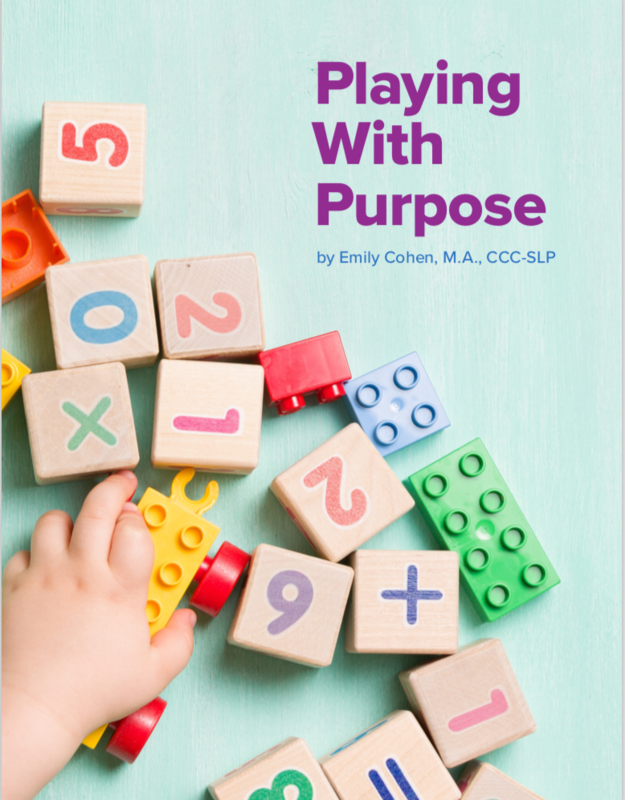 Now the popular Playing With Purpose blog series is available in an easy-to-download book! 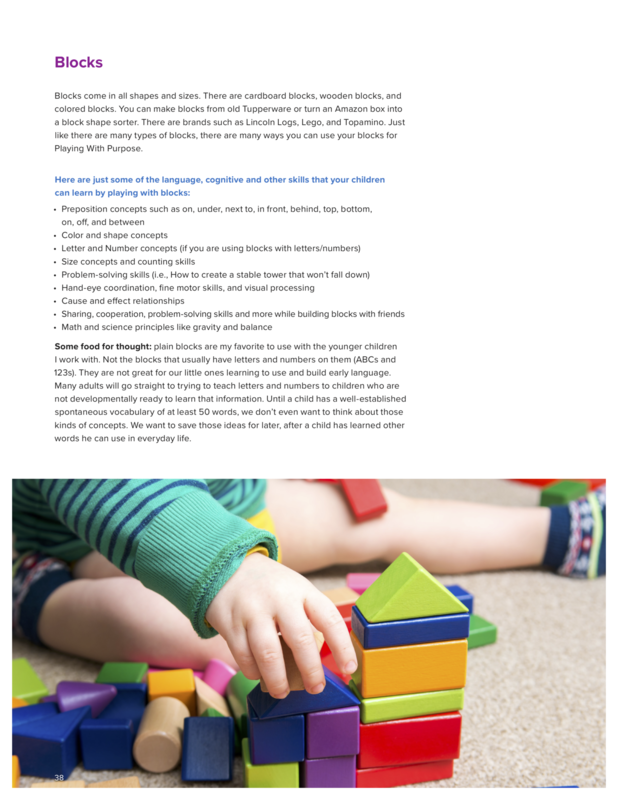 If you are a family or educator with a toddler or young child then you have come to the right place. 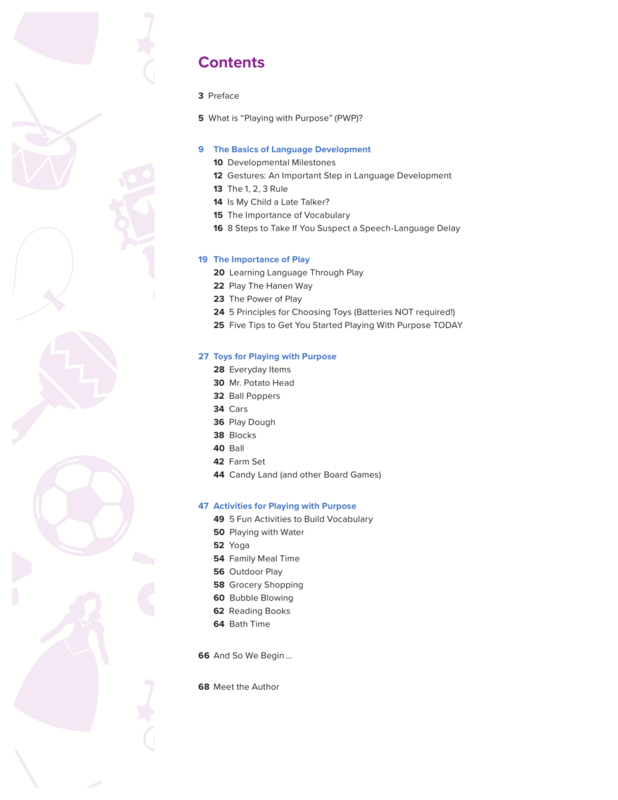 This book will teach you how to convert play and everyday routines into activities that are both fun AND beneficial for a child’s speech and language development. 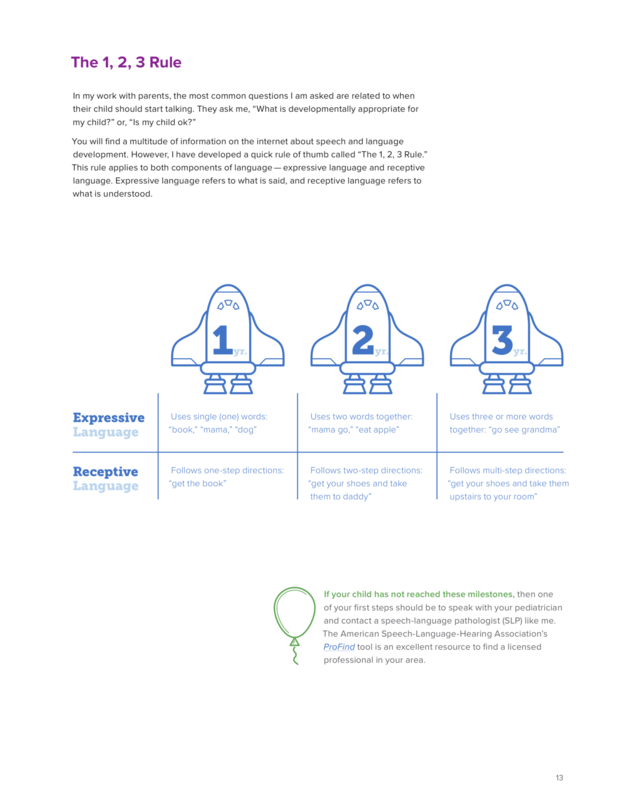 With little tweaks to your interactions and the everyday routines you are already engaging in, you can increase opportunities for learning and growth for your child. This best part is it’s not a lot of extra work. Emily Cohen, M.A., CCC-SLP is the founder of the Tandem Speech Therapy, a pediatric speech therapy practice in Austin, TX. She specializes in working with young children and their families by teaching caregivers strategies for language stimulation through play and everyday routines. 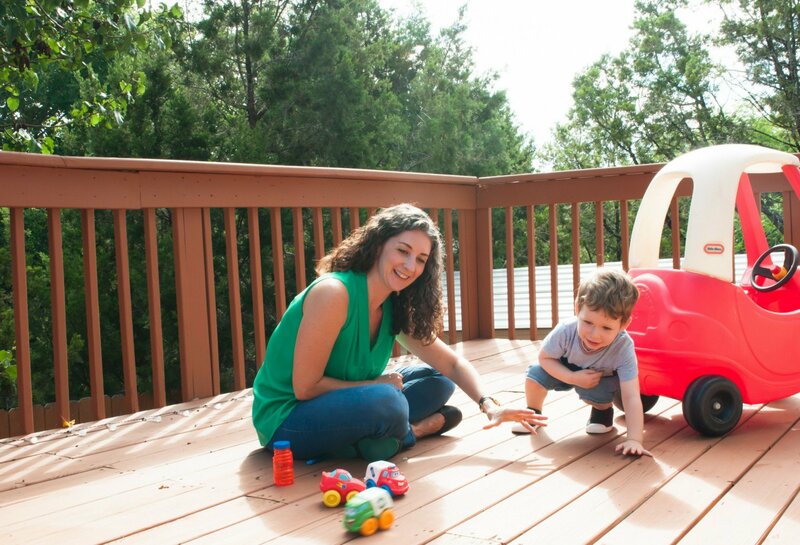 As Helen Hayes famously said, “The expert at anything was once a beginner.” Before Tandem Speech Therapy’s Emily Cohen opened her own practice in 2017, she worked for more than ten years in pediatric clinics in Michigan and Austin. It was Emily’s cousin (an occupational therapist by trade) who first inspired her to become a speech-language pathologist. While an undergraduate at Indiana University—Bloomington, Emily studied special education. Upon graduating, she worked in the public schools for a few years before returning for a Master’s Degree in Speech-Language Pathology. Although Emily enjoyed teaching, her favorite part of her job was forming meaningful relationships with kids and their families. She knew she could help even more families as a speech-language pathologist. Her previous work with kids with special needs continues to inform her pediatric speech therapy practice. Did you know we offer “Playing with Purpose” coaching? 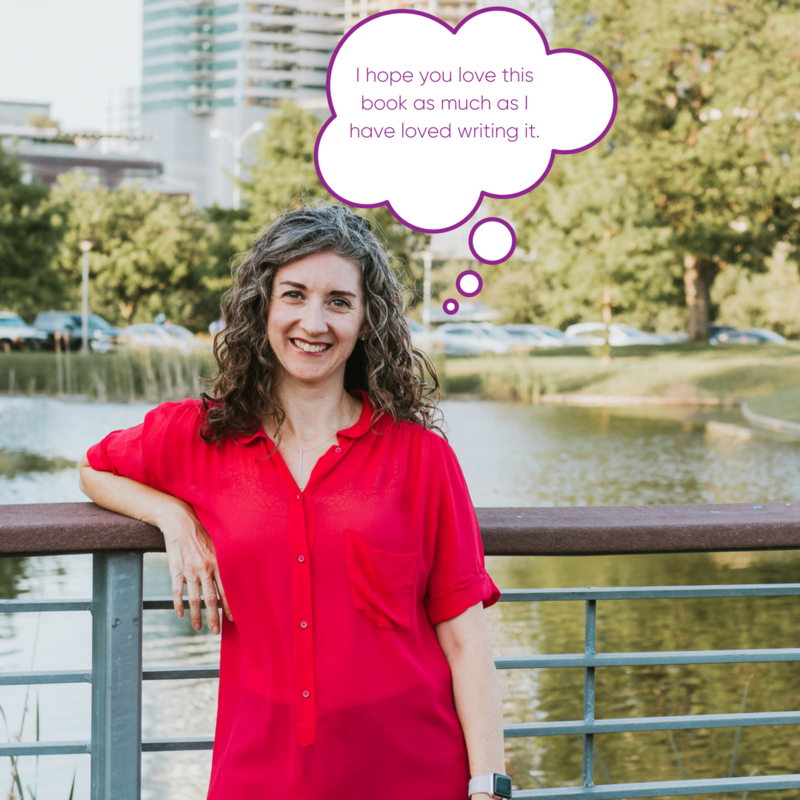 Playing With Purpose coaching is available in your home (if you live in Austin, TX), on a phone call, or via video conferencing. During these sessions, I will provide focused instruction in Hanen and research-based speech therapy strategies for speech and language development. We will discuss the toys your child enjoys playing with and implement specific methods for increasing speech and language during play. 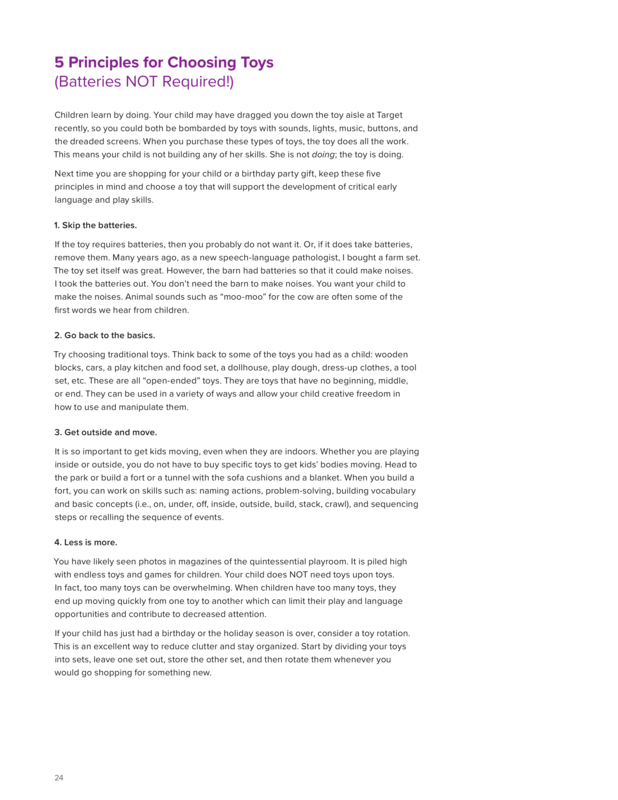 I can also provide suggestions for toys and environmental shifts that may promote more learning in your home. Playing With Purpose coaching sessions are 1 hour in length. Contact us to schedule your first session today.